This motorcycle-mounted police officer wears a round helmet and a police badge. 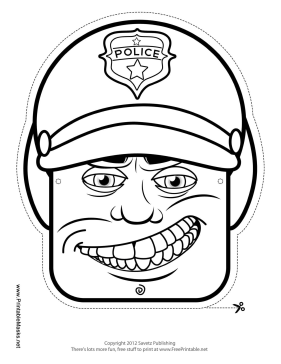 Color in this mask and pretend that you are out looking for robbers! This mask is free to download and print.